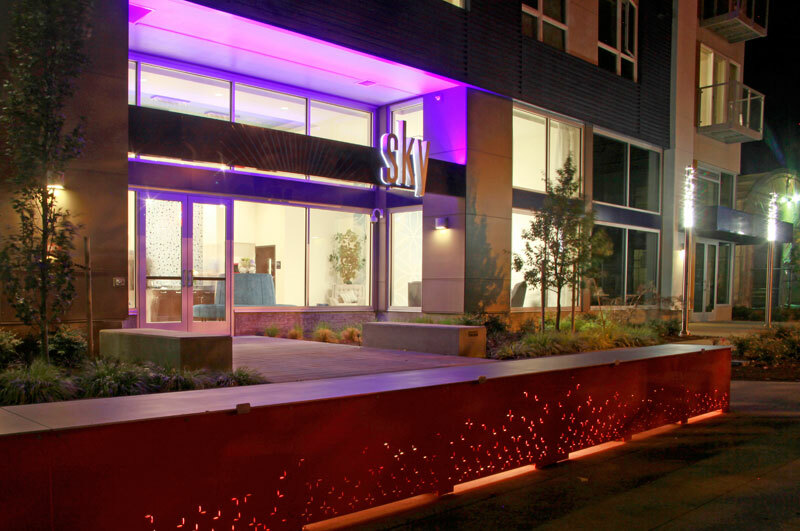 The changing nature of the night sky provided the conceptual basis for this artistic response to the Urban Design Framework. 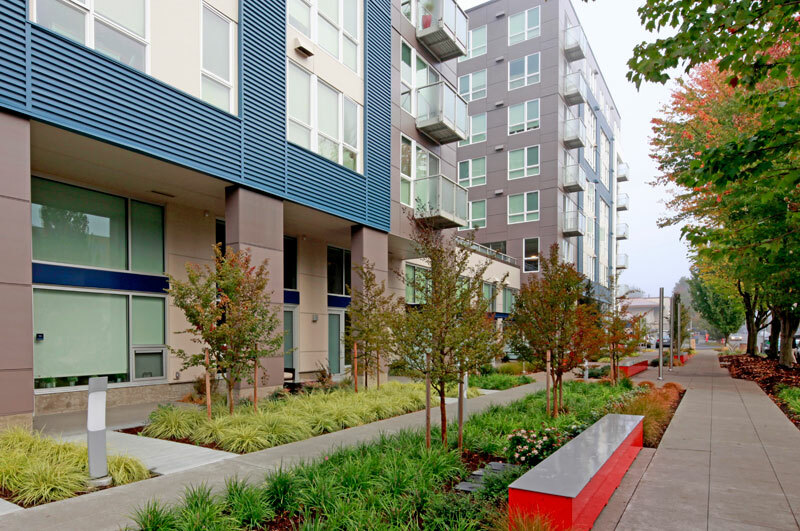 The public realm design for this West Seattle mixed use project embodies the neighborhood’s vision of 40th Street as a Neighborhood Green Street, by maintaining existing trees and creating a richly-layered pedestrian environment. 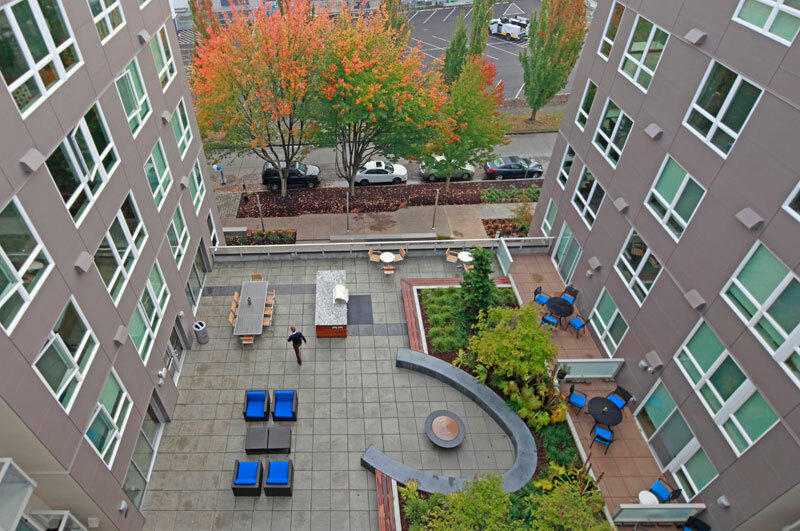 Landscaped unit terraces and Live/Work entries transition gracefully to semi-public and public spaces. A corner retail plaza provides cafe seating adjacent the future park to the north of the site. A latticework of formal tree plantings and special paving creates a pedestrian-oriented space that is both welcoming and uniquely identifiable — using a full array of street furnishings and a splash of vibrant color. 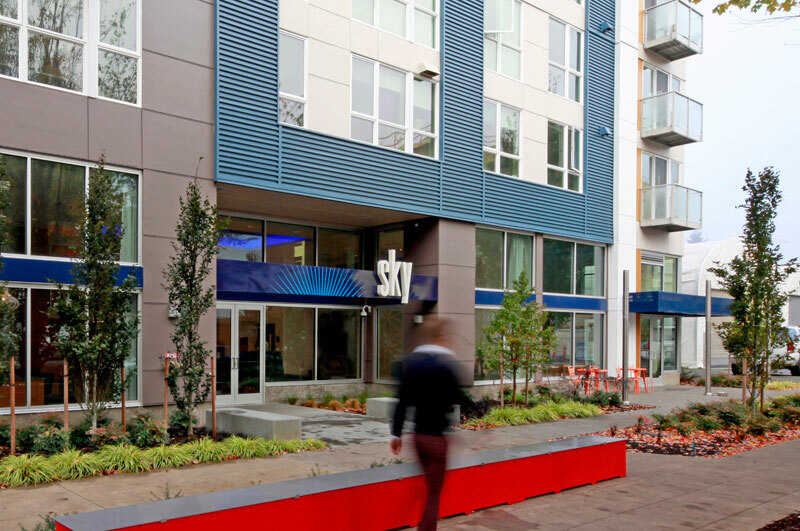 Streetscape elements include custom benches, pedestrian- scale accent lighting, and bike racks – all of which relate to the themes of light and color reflected in sunsets and starlit skies. Abstractions of fireflies and constellations are carried through the site in the detailing of light fixtures and benches, creating a warm and luminous street presence.